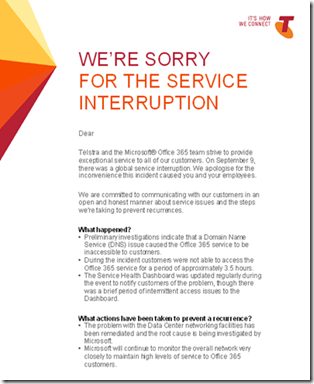 Here’s an email that Office 365 users in Australia recently received in conjunction with the outage that was experienced in April. Nothing is perfect and Office 365 is still in its infancy but I for one am heartened to see that the right thing has been done and customers affected have been duly compensated (as Microsoft provides a financial guarantee on its service level agreement). It would have been nice for this to have come out earlier but hopefully it will not need to again. I recently reached what many may believe as only a minor milestone but upon reflection is quite important to me. What was that event? I needed to get more business cards. Sounds pretty routine but when I stopped and thought about it I realized that it was more significant than I first imagined. It meant that I had managed to hand out my business card to over 1,000 people since the last printing. That’s a lot of people in anyone’s language. Of course it has taken me quite a while to accomplish this but it was much faster than the time before. Why was that? Because I’d learnt a very important lesson. At my core I’m a technician. I like to build things and solve problem. The issue is in trying to achieve this, other people get in the way. They take away your focus, present you with alternate points of view and generally make things harder. For years I always believed that the better technician I was the more work would come my way as people sought out my superior skills. In some ways this works up to a point but beyond that you need to develop other skills. The power of any network grows exponentially based on the number of nodes connected. Thus, one fax machine is pretty useless but two connected together start making sense. Continue adding fax machines all connected together and pretty soon they become an invaluable business tool. The same applies with personal contacts. As the old saying goes, ‘it is not what you know, it is who you know’. Two books that really helped me shape the way I go about networking these days are “The Tipping Point” by Malcolm Gladwell and “Linked” by Albert-Laszlo Barabasi. In essence, they explain the power of networks and the components that make them up. The challenge was now to start applying those principles to business. The details of that applications goes well beyond the scope of a single blog post like this. It was the subject of a recent presentation that I gave and I’m happy to pass along a copy of the slides from that presentation IF you connect up with me via Linkedin, Facebook, Twitter, etc. My main argument is that social networking represents a huge opportunity for everyone’s career, no matter what it is. Opinions from people like Seth Godin, Tom Peters and so on just can’t be ignored and I for one have to agree with the statement that it is the one things that has really propelled my business to the next level. However, social media for business is not a set and forget strategy. It is something that requires settings goals, monitoring and adjusting but the potential leverage it provides is phenomenal. As with most technologies we find available via the Internet, you can take advantage of the huge value of leveraging independent of the financial resources you have. My new aim is to get rid of the new pile of business cards I now have in even quicker time. How am I going to do that? Take what I have learnt and ramp it up even more. I’d encourage you to do the same and if you ever want to discuss with me your strategy or how I use social networking to maximum effect, you should by now know how to contact me. A little while back I wrote an article about using an iPad with Office 365 in which I lamented at how the iPad works fine as a reading device with Office Web Apps but struggles when it comes to editing. My hope with the updated release by Apple of iOS 5 that things would get better, unfortunately they haven’t. Here is what happens when I attempt to edit a Word document using Office Web Apps on an iPad 2 running iOS 5, the document cannot be opened for editing. We get a similar result when attempting the same thing with Excel Web Apps. Damm! Is all I can say. I know that Office Web Apps work well in most other browsers on most other platforms, yet here, no go. It is a real pity as an iPad is such a sweet device and would work well for remote users. So as it stands an iPad works really well as a SharePoint reading device and for working with SharePoint data. Where it falls down is when you actually want to edit Microsoft Office documents (whether in the browser or offline). Hopefully, both Apple and Microsoft can work a little closer together to make this functionality complete but whether that will happen is anyone’s guess. Things are not so straight forward now with SharePoint and the different plans because you can purchase SharePoint Online as an individual SKU (Plan 1 or Plan 2, shown below). or as part of a suite as shown below. – The Small Business and Professional suite includes most of the features SharePoint Plan P1 but also includes the single enterprise feature of Access Services. – The Small Business and Professional suite is limited to a total of 2 site collections, one public and one intranet. – The Small Business and Professional suite does not allow you to purchase additional storage beyond what is provided initially (10GB) plus the amount per user (500GB). – The Small Business and Professional suite includes the ability to read and write using Office Web Apps. – In Australia 24×7 phone support is provided with the Small Business and Professional suite via Telstra, elsewhere it is only community support. 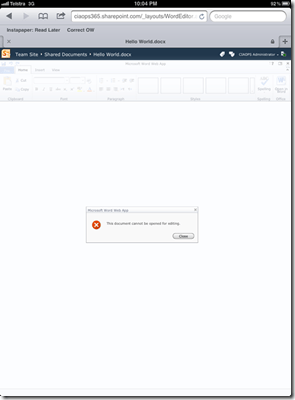 – Intranet SharePoint sites use https (secure) while public facing web sites only use http. However the Small Business and Professional plan only allows http for all web sites (see link for details). – Intranet SharePoint domains are of the form https://.sharepoint.com. 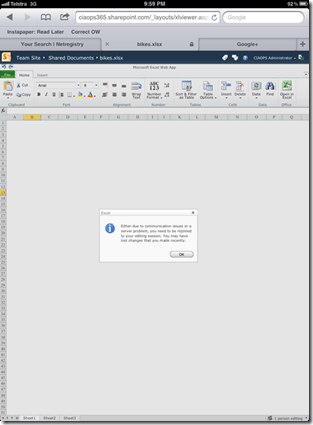 – External SharePoint support vanity domains i.e. http://www.domain.com. Another point to consider is that Business Connectivity services has been announced for an update to Office 365 coming in November. I am unsure whether at this stage it will be available in the P plan. Don’t forget that this a full day hands on course that not only includes all meals and documentation but also a 12 month subscription to my SharePoint Guide (www.wssops.com) and an external hard disk full of SharePoint machine images you can use for your learning well after the course is over. Very happy with the feedback Wayne Small and I received on our recent presentation on SBS 2011 Essentials at SMB Nation 2011 Fall. My thanks again go out to Wayne Small for the opportunity to present with him as well as SMB Nation. I’ve been making some more appearances on the Net and in trade magazines. 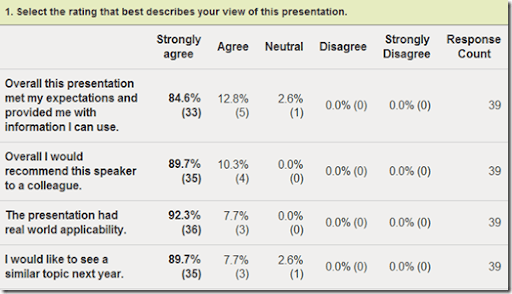 In there I talk about the support issues around the Office 365 P product here in Australia. One of the most surprising challenges with Office 365’s SharePoint Online is to get it working effectively on an iPad. The solutions are by no means easy or straightforward. The workaround below uses third-party applications on the iPad as middlemen to download files stored in SharePoint Online to the iPad for editing and then save them back up to SharePoint. The most important app you’ll need to get documents to and from SharePoint is DropBox. A free account lets you synchronise up to 2GB of files between the cloud and your desktop. Once in the cloud you can access those files from your iPad. Next you’ll need an iPad app that can read Office documents in DropBox and edit them. There are a few; I chose Office2 Plus. There is both an iPad and an iPhone app starting from around $6. The free versions let you view Office documents but not edit them, which is the same situation if you log in through your browser and use the native Office Web Apps in SharePoint Online. So to edit documents you’ll need to shell out for the full version. Finally, you are going to need an app that can access your SharePoint Online site. Again, there are a few of these but the one chosen here is called SharePlus. The Pro version is $14.99 which lets you make changes rather than just read files. Now we have all the apps in place on our iPad (DropBox, Office2 Plus and SharePlus).